North Carolina Aquarium Wedding Venue at Fort Fisher provides an elegant and memorable backdrop for your wedding. They offer the perfect seated or strolling space for wedding occasions of all sizes. The special events staff provides experience and exceptional attention to detail. After a lovely indoor or outdoor ceremony, pose for your first photos as a married couple around the aquarium or even outdoors, with the waves crashing behind you. Multiple locations around the property provide not only ceremony and reception sites, but also allow your guests to mix and mingle as they explore all the aquarium has to offer. Inside, exhibits and tanks of sea creatures create a magical and whimsical experience. 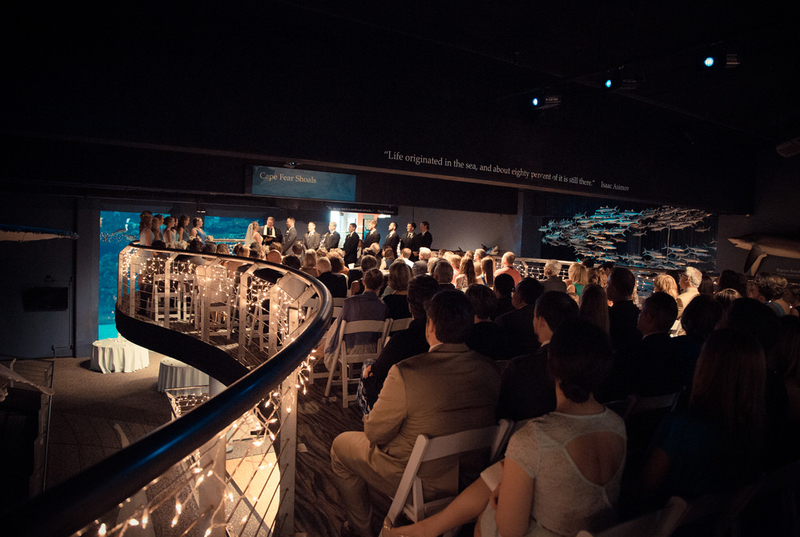 Dine, dance and toast to your forever at the North Carolina Aquarium of Fort Fisher. You and your guests will talk about your enchanted event by the sea for years to come.